The key to any great plate of nachos is even distribution of the ingredients. I like to take out a large baking sheet, like you would use for cookies, and line it with tin foil. Start by covering the tray with the tortilla chips so they are evenly spread out. Brown your ground beef separately and add some taco seasoning to the meat before draining. Start off layering the nachos with a dusting of shredded cheese so all the chips are covered. Then layer the taco meat and black beans over the chips and cheese, as well as the diced jalapenos and olives. Add the desired amount of cheese for the final layer. Bake the nachos at 350 for about 15 mins until cheese is melted. 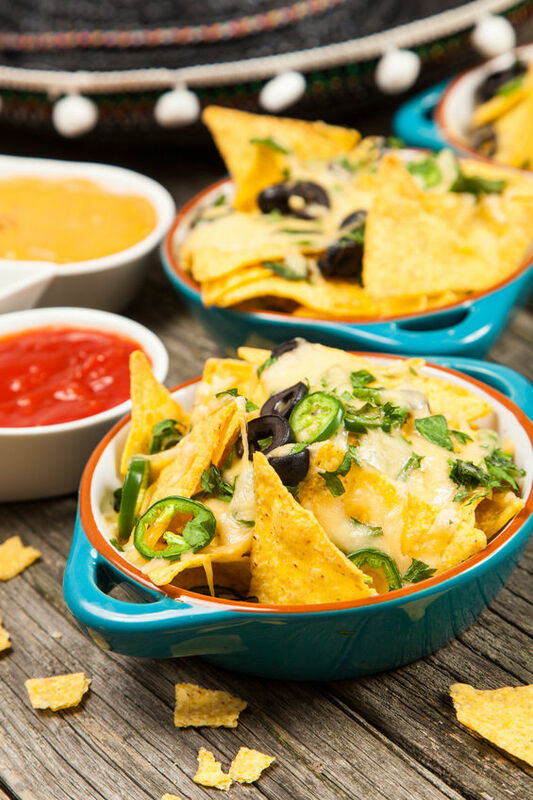 Heat up the Gordo’s Mild Cheese Dip as directed and drizzle over the nachos for the final touch. You can never go wrong with more queso. Serve the nachos with sour cream, Gordo’s Salsa, and some guacamole for dipping if you’d like.